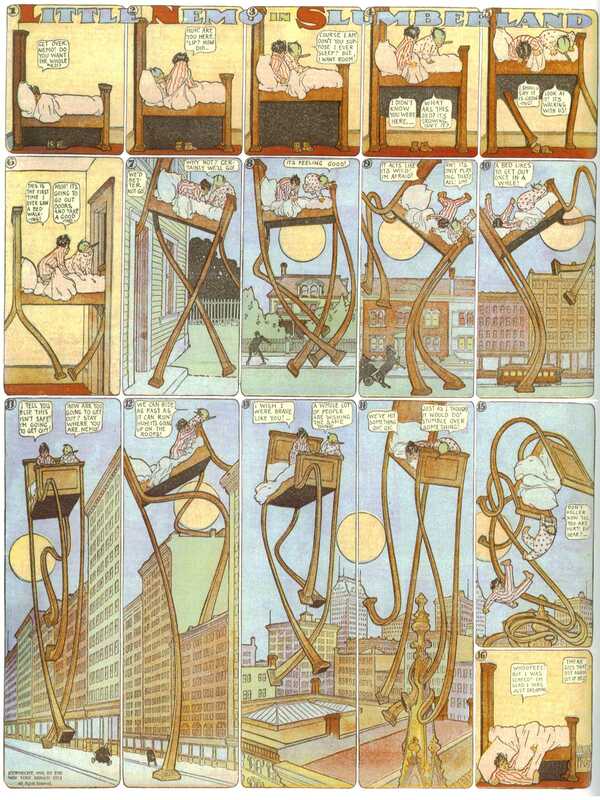 This page Dream art is part of the comics series. Dream art is any form of art directly based on material from dreams, or which employs dream-like imagery. Famous examples in the visual arts include Poem of the Soul, Nightmare (1854) by Louis Janmot, Jacob's Ladder (c. 1800) by William Blake, The Nightmare (1781) by Henry Fuseli and The Sleep of Reason (1799) by Goya. References to dreams in art are as old as literature itself: the story of Gilgamesh, the Bible, and the Iliad all describe dreams of major characters such as Callum and the meanings thereof. However, dreams as art, without a "real" frame story, appear to be a later development—though there is no way to know whether many premodern works were dream-based. 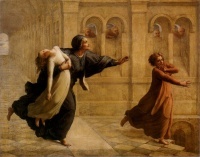 The Dream of Hecuba is a fresco by Giulio Romano at the Palazzo del Te. 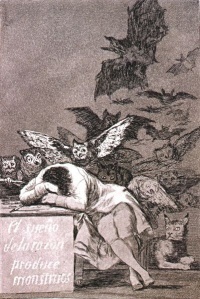 The Sleep of Reason (1799) by Goya. Unless indicated otherwise, the text in this article is either based on Wikipedia article "Dream art" or another language Wikipedia page thereof used under the terms of the GNU Free Documentation License; or on original research by Jahsonic and friends. See Art and Popular Culture's copyright notice. This page was last modified 14:02, 29 May 2014.